A public opinion poll taken in Crimea last year -- before the referendum on Sunday that resulted in a 97 percent vote favoring secession from Ukraine and joining Russia -- suggests that residents were far less enthusiastic about Russia then. In fact, less than one-quarter of respondents last year wanted to join Russia, while the majority was in favor of retaining Crimea's status as an autonomous region of Ukraine. 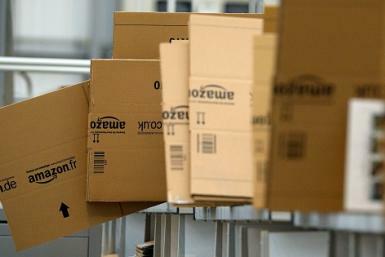 Western powers rejected the validity of the vote on Sunday. Crimea has been occupied de facto by Russian troops since late February. The image below shows that 53 percent of poll respondents in May 2013 favored an autonomous Crimea within Ukraine, while only 23 percent wanted to be part of Russia -- a figure that became a 97 percent landslide in Sunday's vote. 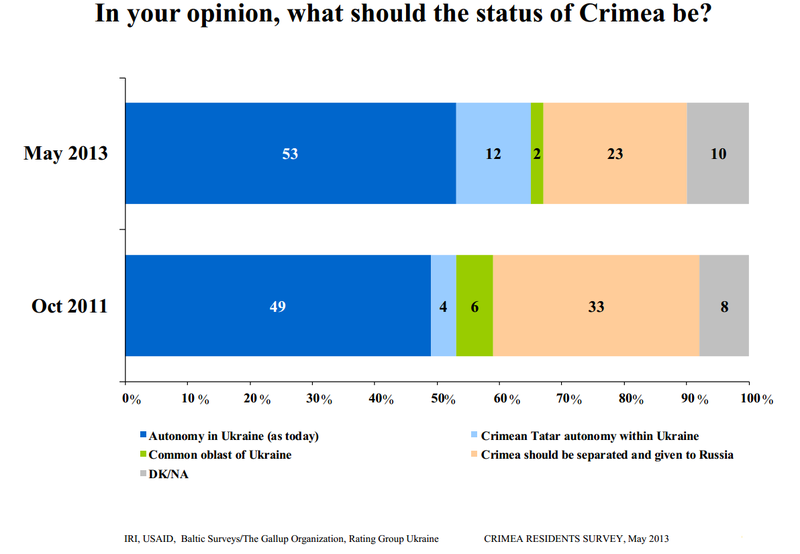 The results of the poll, conducted in May 2013 by the International Republican Institute (IRI), a U.S. government-funded agency whose chairman is Republican Sen. John McCain, showed that 40 percent of Crimeans considered themselves Russian, while 24 percent saw themselves as Crimean, 15 percent Ukrainian, and 8 percent Crimean Tatar. 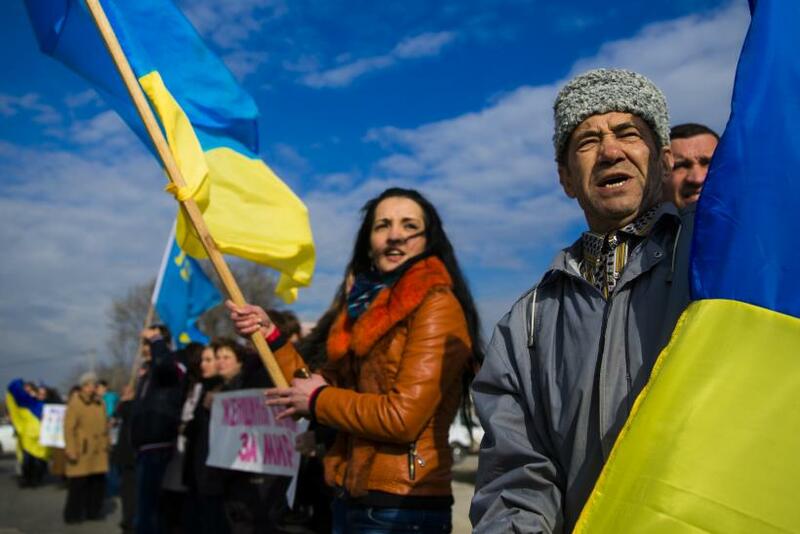 The poll surveyed 1,200 permanent Crimea residents older than 18 who were eligible to vote, and according to IRI, represents the general population by age, gender, education and religion. 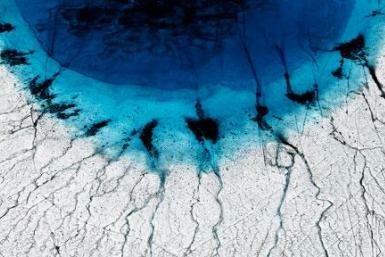 The margin of error does not exceed plus or minus 2.8 percent. 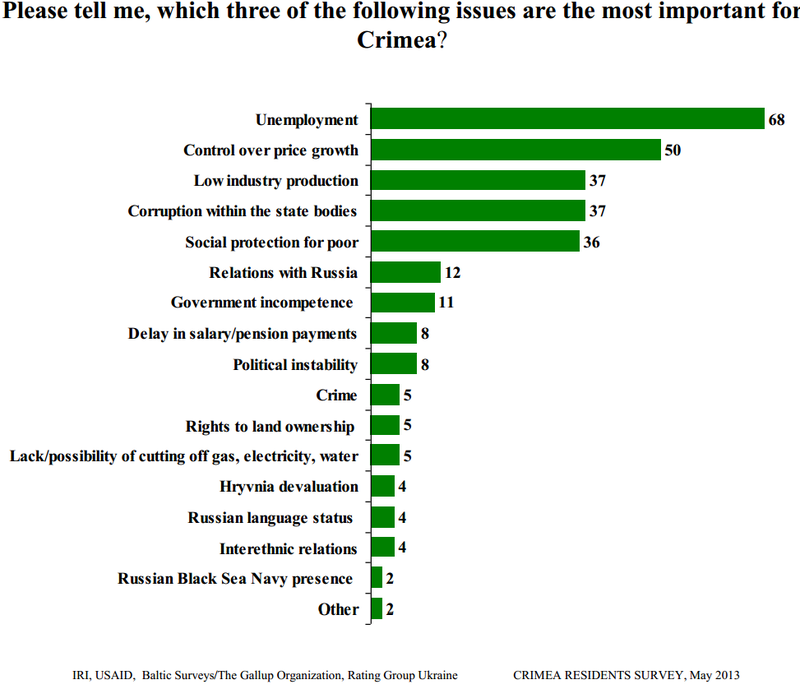 When asked what the most pressing issues were for Crimea, the majority of respondents said unemployment, control over price growth, low industry production, corruption within the state bodies, and social services for the poor. Crimeans saw relations with Russia as one of the least important issues. 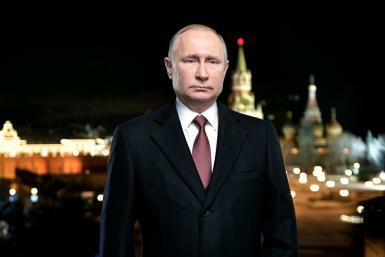 When Russian troops entered Ukraine’s autonomous region last month, taking control of major roadways and surrounding Ukrainian military bases, they did so on the pretext that they were defending the rights of the ethnic Russian majority. 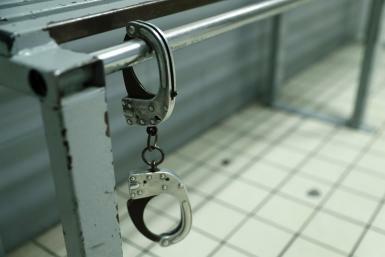 In addition, pro-Russian activists seized government establishments. 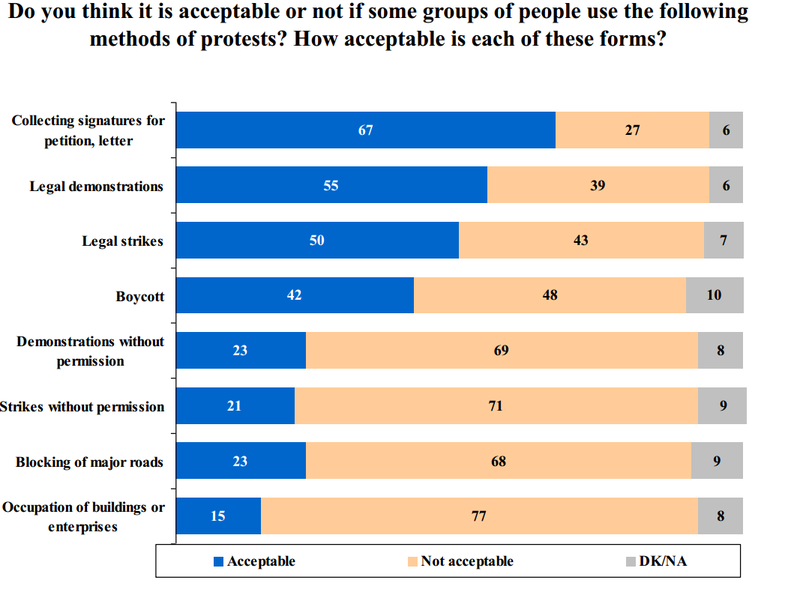 Oddly enough, when respondents were asked in the poll last year what they thought was an acceptable form of protest, the majority were against any serious or violent protest. Around 68 percent of respondents believed that blocking major roads was not an acceptable form of protest, while 77 percent of respondents believed that the occupation of buildings or enterprises was also not acceptable.